What's an honorable Scot to do when a beautiful woman washes ashore beneath the family castle? Give her to his brother? When Tavish Graham stumbles upon the naked body of Sophie d'Alembert, he thinks she is dead. But it doesn't take him long to discover that Sophie is very much alive and more woman than he can handle, so he leaves her with his brother, James, the Earl of Monleigh. Beautiful, young and French, Sophie finds herself in the wild, strange land of the Scots. Terrified and not willing to trust James, she fails to tell him that she is the granddaughter of Louis XIV - and that she is fleeing a forced marriage to the hated English Duke of Rockingham. 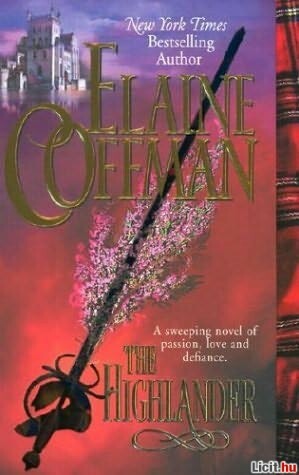 Reluctantly, Sophie begins to fall in love with the rugged Highlander. And before she can reveal the truth of her past, James discovers her royal connection, and wonders what else she is keeping from him. Can James resist her, or will he defy the might of England and France for a lover as wild and passionate as himself?